According to industry estimates, the global healthcare spending is expected to grow at an average of 5.2 per cent year on year during 2014 – 2018 to a total of $9.3 trillion. In spite of its vastness, both developed and emerging nations are dealing with issues like ageing population, rising incidences of chronic diseases, rapidly increasing cost of healthcare, disparity in quality of care, infrastructural challenges, workforce shortage, non-uniform distribution of healthcare facilities across the community locations etc. The burden faced globally today has never been so challenging than ever it was. An estimate by the Economist Intelligence Unit (EIU) the regional healthcare spending during the year 2015 is expected to be as given in the table. Globally, most nations have been challenged to improve quality of care while reducing the cost of healthcare by means of inventing cost effective methods for an optimal outcome. The challenges described above have led to adoption of healthcare IT solutions such as Electronic Medical Records (EMR)/ Electronic Health Records (EHR) for safe storage of healthcare information and to make more informed decision. According to an estimate by MarketsandMarkets, a leading research organisation, the global healthcare IT market is estimated to reach $56.7 billion by 2017 — up from $40.4 billion in 2012 — due to the demand for clinical information technology, administrative solutions and services. Among the various healthcare IT solutions offered, EMR/ EHR segment dominates the sector. Gartner estimates healthcare providers in India are likely to spend $1.2 billion on healthcare IT products and services in 2015, a seven per cent growth over 2014. Software spending is likely to grow 6.2 per cent to reach $103 million in 2015, up from $97 million in 2014, led by growth in vertical specific software. 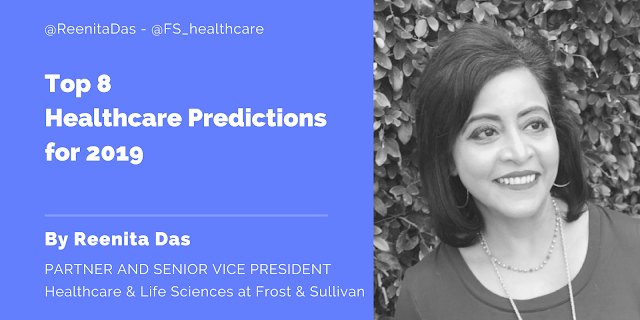 An estimate by Frost & Sullivan, healthcare information technology market in India is expected to reach $1.45 billion in 2018 mainly due to fast adoption of technology by stake-holders. India being a developing nation, the health IT spending is still much less than that of the developed nations. The rest of the paper discusses various drivers for healthcare IT initiatives, its attractiveness and approaches for Indian health IT organisations for an effective go-to-market strategy. More informed and engaged patients. Why do more and more Indian IT organisations want to venture into Healthcare Industry? Healthcare has a huge addressable market. India as a country has witnessed a rather steep growth trajectory only in the last decade with the advent of the private sector. The influence of technology has been an important growth driver, with healthcare models based on IT intervention now becoming a reality. The accessibility of healthcare today is more than it ever was, consequently increasing the opportunity for new players. Emergence of new delivery models which are scalable, less capital intensive and yet promise better earnings is one of the major reasons the healthcare sector has lured the investors. Diagnostic chains, single speciality clinics, wellness centres, primary care set-ups etc. are all emerging models of healthcare and it is still evolving. In a nutshell, healthcare industry provides array of opportunities for new experiments at a promising return on investments. The penetration of healthcare IT is still in its infancy providing ample opportunities to all competent healthcare IT solution providers. With increased importance to healthcare needs, the adoption of modern healthcare IT systems is bound to grow. The table below provides the advantages and disadvantages associated with each of the approaches. Total cost of ownership (TCO): Total cost of ownership refers to the cost to the organisation for sustaining a product line. This includes the license fee for the product and cost of the application maintenance and support. Effort: This is the effort that needs to be put in by the organisation to meet the desired product criteria driven by Customer/ Market needs. Potential Revenue: This refers to the revenue that would be generated by the organisation on entering the market with the stated product. Time to market: This is the time taken to launch the product in the market for customers. Market acceptability risk: The risk that the product launched into the market is not accepted by the clients. This is particularly high for a new product launch. Customisability: The capability of a system to be easily customised for desired features. Creation of a greenfield system offers the highest amount of flexibility as it can be designed keeping product expansion in mind. Scalability: The capability of a system to be easily scalable for larger implementations. While a greenfield system can be designed to be scalable an open source or acquired product may have limitations. Skilled resource availability: The major constraint of a system is the technology stack that it is built on. Having technically sound resources trained exclusively on the same platform is one of the major factors for system selection. Legal/ IP Risk: Enhancing and commercialising existing open source systems would give rise to potential legal risks. Some systems are covered under various public licenses which prohibit the commercial use for profit. Security risk: With the ever growing population that is being catered through the IT enabled system, security of the healthcare data plays a vital role in the evaluation of a system. Many laws of the land mandate patient privacy and prohibit the transfer or usage of the healthcare data and thus require utmost authorisation and protection for the same. Any shortcomings in the system that compromises patient data security would pose a security risk. The evaluation of each of the approaches based on the above mentioned parameters are summarised in Figure 2. Approach –‘MODIFY’ can be considered as a short term strategy with an objective of learnings, small scale implementations and R&D. Approaches – ‘CREATE’ and ‘ACQUIRE’ can be considered as long term strategies with an objective of achieving the vision of the organisation. Approach – ACQUIRE enables the organisation a quicker go-to-market for realising the opportunities. However, the risks associated with the approach must be given due consideration. The lucrativeness of the healthcare IT market has received significant attention. It is an obvious choice to exploit the opportunities presented. The pioneers and the laggards are equally keen to make the best of the opportunities. An approach that works best for a pioneer may not be of same value to a beginner. In pursuit of quick success, organisations should not commit the mistakes of engaging in a wrong approach to make a foray in hurry. It has been rightly said, “There is no shortcut to success.” Organisations need to carry out a risk and return tradeoff before formulating and executing any strategies for the best possible outcome. i. 2015 Global Healthcare Outlook. Common Goals and Competing Priorities By Deloitte, Whitepaper, 2015.
ii. Global healthcare IT market estimated to reach $56.7B by 2017 By Ashley Gold, News Article, FierceHealth IT, May 10, 2013.
iii. 2014 Global health care outlook: Shared challenges, shared opportunities By Deloitte, Whitepaper, 2014.
iv. Overview of International EMR/EHR Markets: Results from a Survey of Leading Health Care Companies By Accenture, Whitepaper, August 2010.